Every 29 seconds** a USB flash drive is lost in the Library. If it has a cap, leave the cap on the desk beside or on top of your mobile phone. Since you are probably not going to leave without your mobile, you will notice the cap and remove the flash drive. Another tip is to write a reminder on a sticky note and place it on the computer screen. It will be staring at you as you prepare to leave. Sometimes a reminder note is the best way to go. 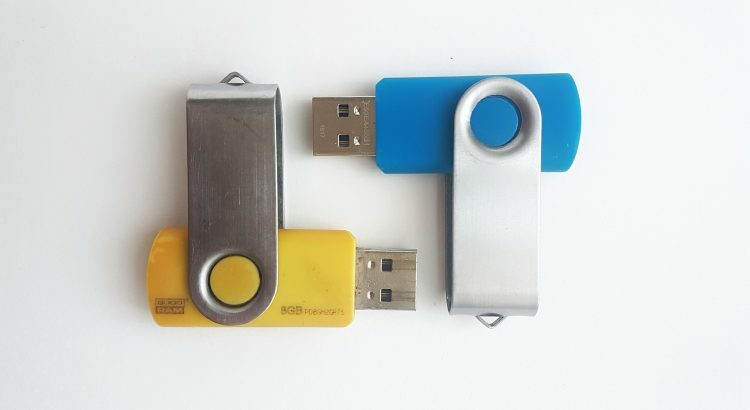 Attach a large (lightweight) keyring to your flash drive, you’re less likely to leave a cute keyring behind. Use Box. Box is the university’s cloud-based storage facility. It brings many benefits: easier collaboration, anytime, anywhere, any-device access to documents and unlimited storage space and cannot be left behind. We pass any lost USB flash drives to Lost Property. *OK, this is a slight exaggeration. **OK, this is another exaggeration but only a small one.